Do you need to get your BASSET License - Beverage Alcohol Sellers and Servers Education and Training certificate? Earn your Illinois BASSET License - Beverage Alcohol Sellers and Servers Education and Training certificate (commonly called: "Illinois bartender license") by completing the Responsible Serving® of Alcohol Course for Illinois. This Illinois alcohol server / seller training and certification for on-premises employees will train you in responsible serving® techniques for bartenders, servers, waiters and waitresses and will certify you to work in on-premises alcohol service establishments. NOTICE: The deadline for obtaining your BASSET approved Responsible Serving® of Alcohol certification is quickly approaching in counties with a population between 30,000 to 200,000. Certification is required by July 1, 2017 or within 120 days of employment. Receive your official PSCC Rserving Responsible Serving® of Alcohol Wallet Card for IL Responsible Serving® of Alcohol in the mail! After you complete the course, you are able to generate your printable certificate for IL Responsible Serving® of Alcohol immediately. You will automatically receive your PSCC Rserving bartender's license / wallet card for IL in the mail within 15 days. Illinois BASSET Bartending License Approved! 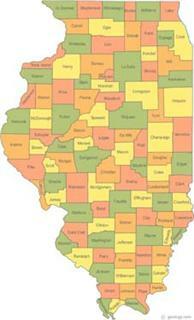 What is the minimum age to sell/serve alcohol in Illinois? (unless regulated by local ordinances). The agency that handles Illinois liquor licensing and/or bartender licensing rules and regulations in Illinois is The Illinois Liquor Control Commission. The contact information for The Illinois Liquor Control Commission is listed below. You can contact them to verify that online server certification (bartender license) can be obtained in Illinois. We have also listed that information where applicable. Can bartenders in IL work as a bartender with a felony conviction? Yes. Felons are only prohibited from getting a liquor license.